The expression “knowledge is power” is something of a cliché, yet in our technology driven world, it has never been more true. In its new report on out-of-school children, Fixing the Broken Promise of Education For All, UNICEF and the UNESCO Institute of Statistics (UIS) highlight where the global community has made huge strides in getting more children in school, and where we need to redouble our efforts to ensure that every child is able to go to school. What stands out in the report is the breadth of our knowledge. We know which children need more help. We know not just the countries in which they live, but also the regions, whether they are urban or rural, girls or boys, and the socioeconomic status of their families. We know which children drop out of school and what precipitates their decision to leave. We know that income earning opportunities can trump the benefits of going to school as the child gets older, especially if the family needs the extra income they would gain by putting their child to work. 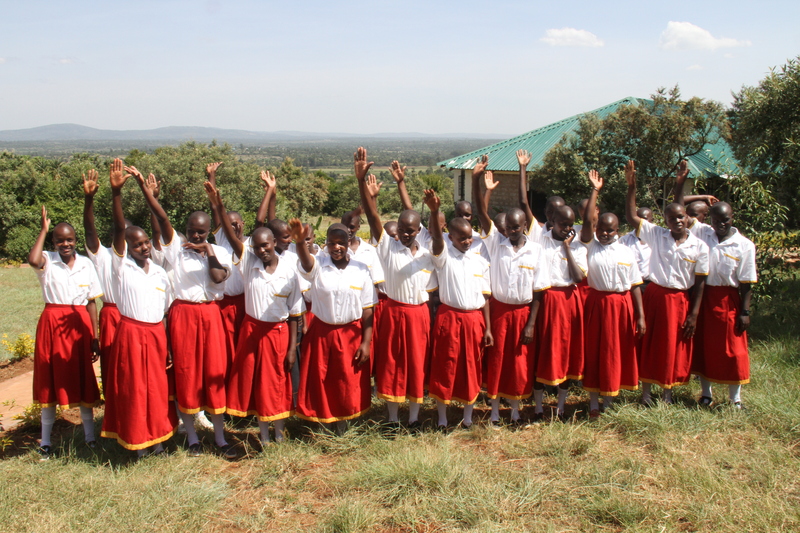 We know that the transition from primary to secondary school is often when we lose the girls, as parents decide that one level of school is sufficient and that it makes more sense to marry the daughter off than continue to pay for school fees, a uniform and books. We know what barriers to schooling children face in specific geographic locations. This knowledge really is power. It gives policy makers the ability to target their interventions and to put scarce resources to reach the most vulnerable children. When Sheena Bell, an author of the UIS report, spoke at the 60 million girls’ Annual Conference in November 2014, she noted that to reach the most vulnerable children it is necessary to go village to village, door to door, to convince village leaders to educate their daughters. The data help us to understand where we need to go. What a sea change this is from 1990 when the World Bank published the first World Development Report. The Brookings Institute notes that 25 years ago, policy makers barely had poverty data from a dozen countries with which to make assessments and recommendations. Our current data also show how we have succeeded over the last 15 years, through the introduction of the Millennium Development Goals (MDGs), in getting more children into school, improving gender equality in educational opportunities and raising literacy levels of children around the world. The next round of targets and objectives outlined in the proposed Sustainable Development Goals (SDGs) have the potential to make the next 15 years the most successful yet in getting all children in school and seeing the end of extreme poverty. So what do the data say? 43% will never attend school. That’s 121 million children who are still denied an education. Globally, the number of out-of-school children fell by 42% from 2000 to 2012. That’s an impressive achievement and the world is better off for it, as these educated children are more likely to help their families rise from poverty as income earning potential increases. Their own children are more likely to go school themselves and they will be better nourished. Fewer babies will die as a result and maternal mortality will also fall. This is already apparent. According to the Gates Foundation annual letter, the number of child deaths under five has fallen across all regions. In sub-Saharan Africa, it declined from 179 deaths per 1,000 births to 92 over the last 25 years. The data show that South Asia experienced the largest decline in out-of-school children, with a fall of 23 million between 2000 and 2012. However, they also reveal that one-third of out-of-school children live in West and Central Africa where population growth has meant that demand for school has risen faster than supply. That’s almost 20 million primary-aged children who are out of school in this region, about 31% of the world total. At the lower secondary age level it’s even worse, proportionally, with 12.5 million children in this region out of school, 40% of total out-of-school children in this age range. The barriers that children face to getting an education are multifaceted and often complex. They include poverty, living in a rural area or conflict zone, gender, and disability. When school is not offered in a child’s mother tongue, teaching and learning also become more difficult. Poverty is one of the most egregious barriers. Poor children have the highest out of school rate at 22% of the total compared to 6% for children from the wealthiest families. Poverty and lack of education feed into each other and create a vicious circle as uneducated children find it more difficult to rise up and generate the income they need to make life easier. The trick for policy makers will be to break that cycle through specific policies such as eliminating school fees, providing cash transfers to families conditional on keeping their children in school, and providing meals at school as an additional incentive for attendance. The gender gap in education is also an issue yet, thankfully, there is a lot of positive momentum in rectifying this imbalance. Globally, the gender gap has fallen for both primary-aged children and those in the lower secondary age range. Girls, though, still account for 53% of all out-of-school children. It is important to note that, like the total out-of-school figures, the global reduction in the gender gap belies important regional discrepancies. Half of all out-of-school girls live in sub-Saharan Africa. More specifically, West Central Africa, the region with the highest out-of-school rate overall, also has one of the largest gender gaps: 31% of primary-aged girls in this region are out of school compared to 23% of boys. On the other hand, outside of sub-Saharan Africa, the gender gap is much less apparent as children in Asia, Latin America and the Caribbean are on an almost even footing. Now that we know which children need the most help, policy makers can target efforts and make a push to see Universal Primary Education fully achieved. We hope to see all children in secondary school and an end to the gender gap in schooling. We at the 60 million girls Foundation believe that in our information-driven world, technology will play an important role in getting education to all children. Computers will not replace teachers, but along with the right mix of software, know-how, interest and will, technology has the potential to help bridge the learning gap. But this is a topic for another post. This is a great article. So much can be achieved through proper communication with people in positions of power. It’s a long road but one worth travelling.